Our print media include books, magazines, periodicals and non-periodicals in Chinese, English and Japanese. These publications record the benevolent acts of kindhearted people and cover issues from culture, history and arts to environmental protection, climate change, humanitarian concerns, and more. Tzu Chi Monthly is a free magazine that features stories of people giving with love, Tzu Chi volunteers’ work around the world, and words of wisdom compiled from Dharma Master Cheng Yen’s speeches and talks. First published in July 1967, Tzu Chi Monthly has evolved from a biweekly newsletter recording people’s donations and good deeds into a monthly magazine available in both print and electronic format. With reports on real-life stories that anyone can relate to, coverage of major disasters around the world, columns touching upon spiritual growth, and more, the magazine speaks directly to readers’ hearts and has inspired many to do good and better themselves since it was published over 50 years ago. Multiple-time winners of various awards from credible organizations at home and abroad, Rhythms Monthly magazine covers an array of issues on culture, history, geography, environment, humanitarian concerns, and more. Featuring superb photography and in-depth reporting, Rhythms Monthly is committed to enhancing its readers’ appreciation of the world around them and inspiring respect, care, and gratitude for all life and the Earth we call home. Tzu Chi Bimonthly is an English periodical that features a collection of stories and reports selected from the Chinese Tzu Chi Monthly. By compiling and translating these articles from Chinese into English, this English publication hopes to share the ideals of truth, goodness and beauty with more English-speaking readers around the globe. 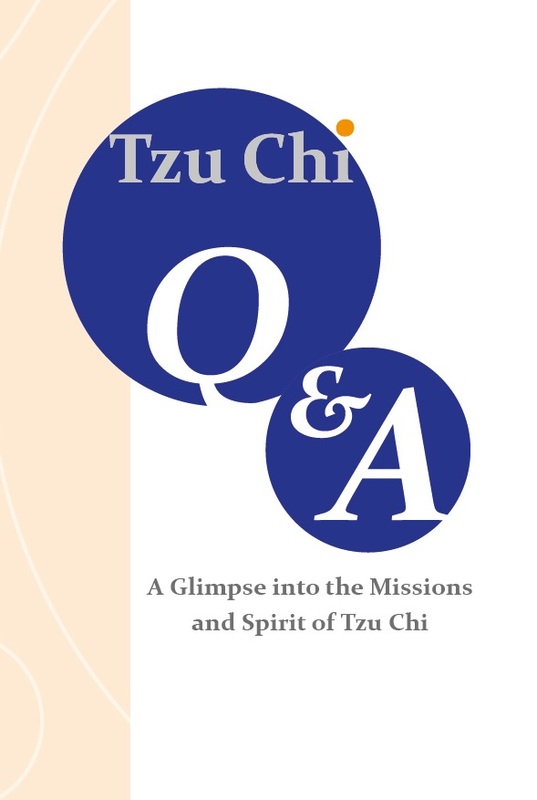 Read this booklet online and learn the answers to your questions about Tzu Chi!